Animal rights activists, do not worry! This is not at all what it seems to be. If you love Soviet cuisine and have already tried your hand at charlotka pies and ‘Prague’ cakes, then it's time to go to a whole new level. In the lean 1970's and 80's, Soviet stores didn’t have a wide variety of food items for use in preparing desserts. 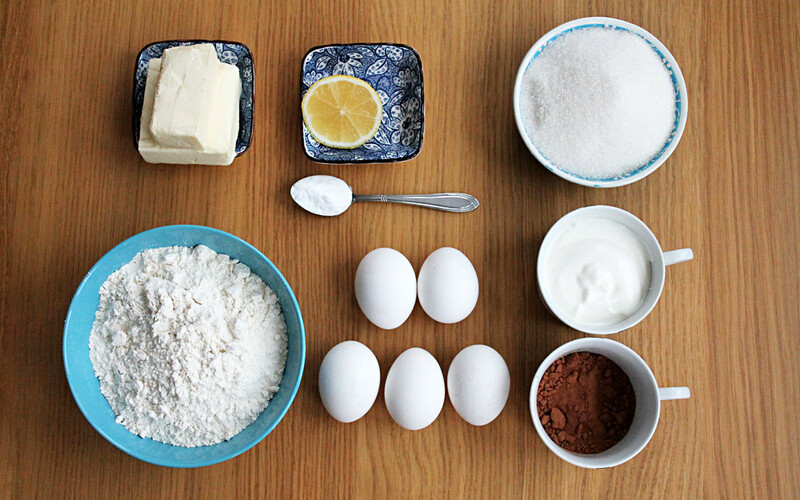 Usually, the standard ingredients in homemade baking were the same for everyone: butter, flour, sugar, and eggs, to which milk or sour cream could be added. This meant that housewives didn’t try to surprise guests with a new type of tasty cake, but rather with its appearance. As far as creativity, the sky was the limit. 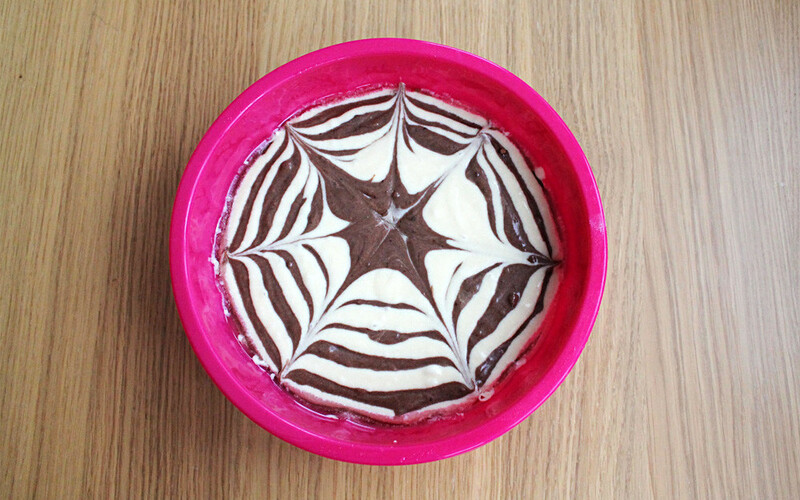 ‘Zebra Cake,’ made with chocolate and ordinary white biscuit, looked remarkable and resembled the skin of the exotic animal. Guests, especially children, were guaranteed to be delighted. There are two ways to prepare this cake: a modest version, and a more sophisticated one. 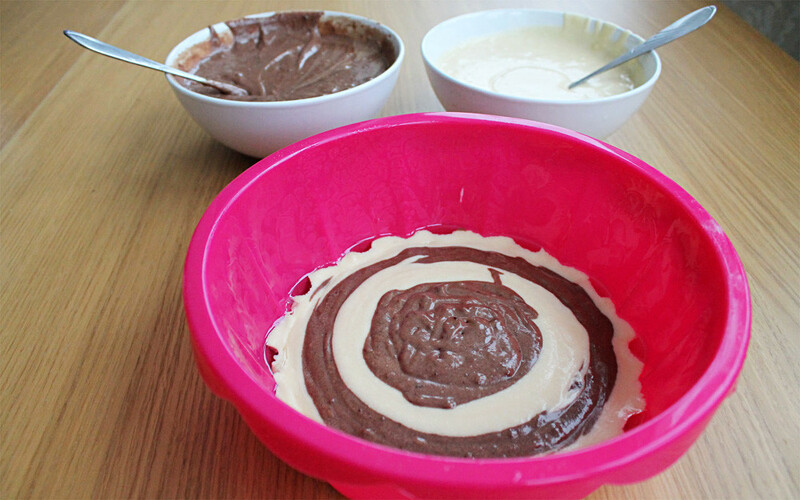 The first was simply to bake cakes of different colors and combine them. A culinary ace, however, would bake a whole cake with cross stripes. 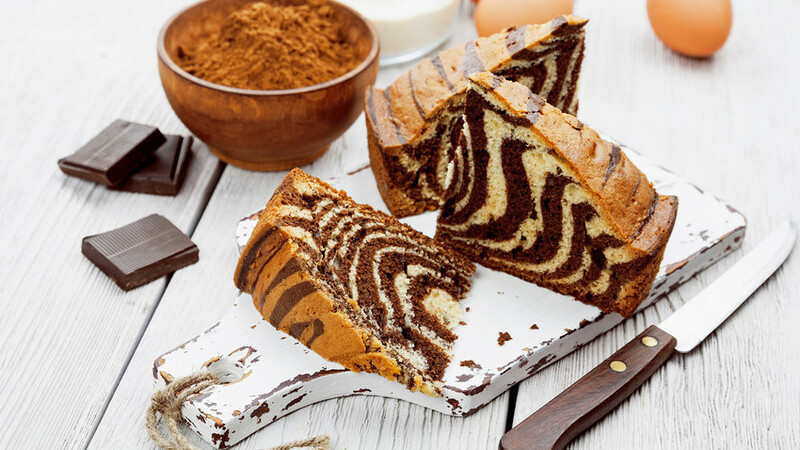 Try this version of the "Zebra Cake," as most experienced Soviet women did. 1. Mix eggs with sugar until it foams. 2. 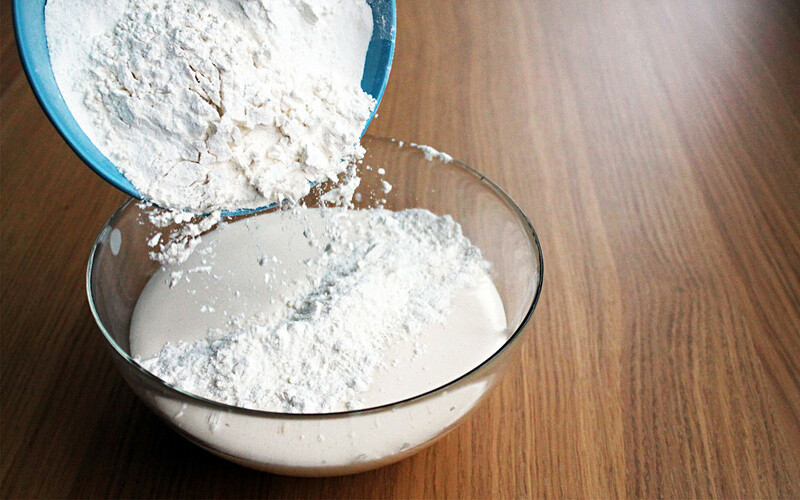 Add 2 cups of sifted flour, baking powder or soda (can add lemon juice), melted butter and sour cream, and mix thoroughly. 3. 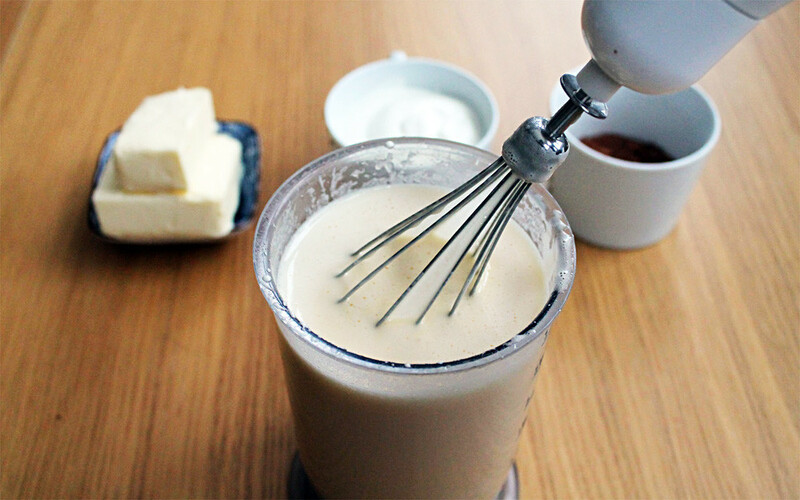 Divide batter into 2 equal parts. In one, add 3 tablespoons of cocoa powder. Stir the batter thoroughly so there are no lumps. Leave the white part as it is. 4. Grease the baking pan with oil. First pour into the center 3 tablespoons of white batter, then 3 tablespoons of chocolate batter. Don't mix. Finally, take a toothpick and draw 8 lines from the center to the edges. 5. Bake in a preheated oven of 180 degrees Celsius, 50-60 minutes. If the top of the cake is already ready, but the middle is not, then cover with foil and bake until cooked. 6. 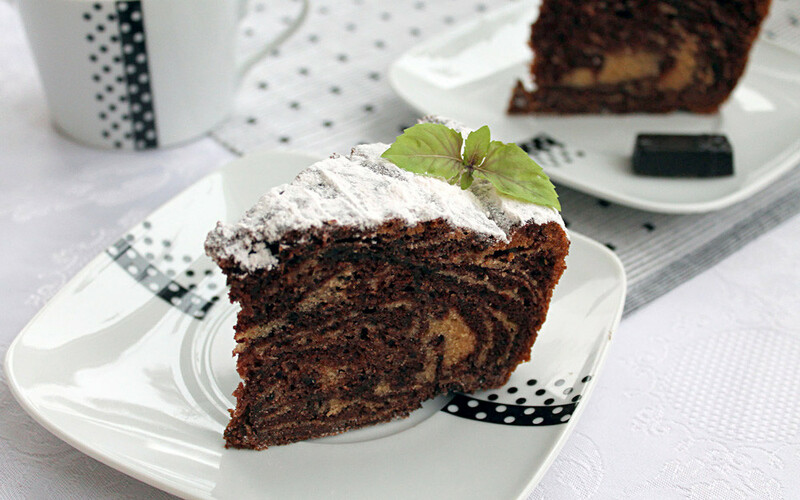 In addition, the cake can be made with white cream made from whipped sour cream with sugar, and on top you can make black stripes with chocolate glaze (melted butter with chocolate). 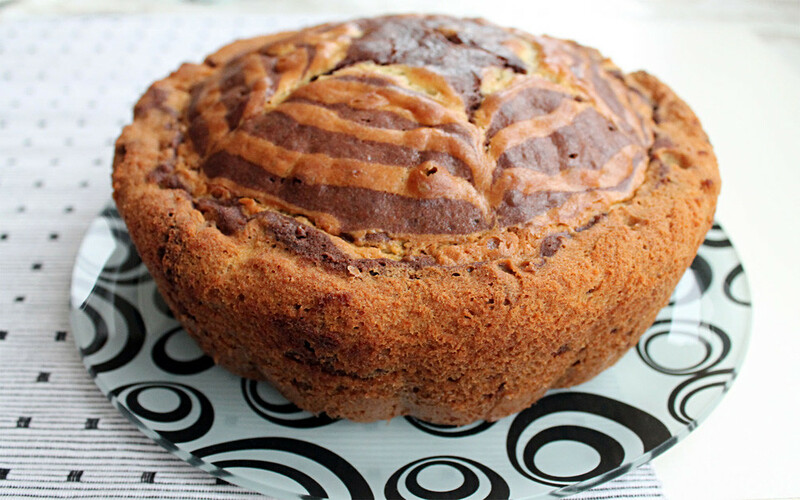 Try another cake that became popular in late Soviet times - Muraveynik ('anthill').